Good! you say, I see you get offended when you make a mistake which is the first step to fixing it – but is it better to then start thinking of yourself and how you feel, or do you think it’s better to think how you can fix that mistake? What do you want to achieve? Is it better to allow your emotions to get the best of you so very little is accomplished or is it better to correct the mistake and move on to something else ? Is it better to be angry and frustrated all the time or is it better to be happy? Is it better to be used by your emotions (her anger) or to use them to help yourself? Even though she would like to answer yes the the first part of the question (because she is getting a strange sort of pleasure by indulging herself this way), she will tell you “no” to the first part and “yes” to the second. She will also become aware that she is not in control of the situation which, if she’s a perfectionist, will bother her. So you say, “Good – now I can help you! I can show you how to solve the problem, to use these wonderful emotions and energy you have to play the music much better and you will be very happy! Would you like that?” Of course, she will say, “Yes.” You then ask her how you can help stop her from going into that downward spiral. You can agree on a phrase, a word – anything, really that will make her realize that she is indulging herself again and not accomplishing what she really wants, which is to play well. You will make her realize that she is putting her attention on herself and not on the music and that’s why she gets frustrated. Once you can succeed in turning her thoughts to what she is doing instead of how she feels about it and herself, she’s on the road to using her perfectionism instead of being used by it. I would try this, for starters: get her to agree beforehand that when you see that she is going into a tirade, that you can stop her, change course and do something else, coming back to that problem when she is calmer. This usually works very well. Or you can stop her and make her run around the room three times – anything you can both agree on that will break the cycle of a perfect perfectionist storm. The goal is that she will learn to recognize the signs and symptoms herself and how to deal with them, always keeping her eye on the desired goal of doing whatever she wants to do well, instead of wasting energy with a temper tantrum. If none of the above works, you can try the following as a last resort. I have a perfectionist student who would go into paroxysms of self-flagellation every time he made a mistake – or even when I would make the most mild correction. I had tried various tactics with some success, but one day when I saw him get that look on his face yet again, I asked him: “Are you thinking about yourself or about what we are doing? Because if it’s the first, I’m going to stop the lesson as I can’t help you.” I never saw a kid change his attitude so fast. His mother told me later that things at home changed, too. You see, he wasn’t like this with the violin but with everything. I still have to remind him occasionally, but the problem is now under control – his control. And this is one thing we want to achieve with our students: have them think about what they and we are trying to achieve in a lesson and not allow a student’s rather fantastic temperament (like that of the little girl above who will find it useful one day when she learns to control it) take over herself, the lesson as a result and ruin what we are both trying trying to accomplish. 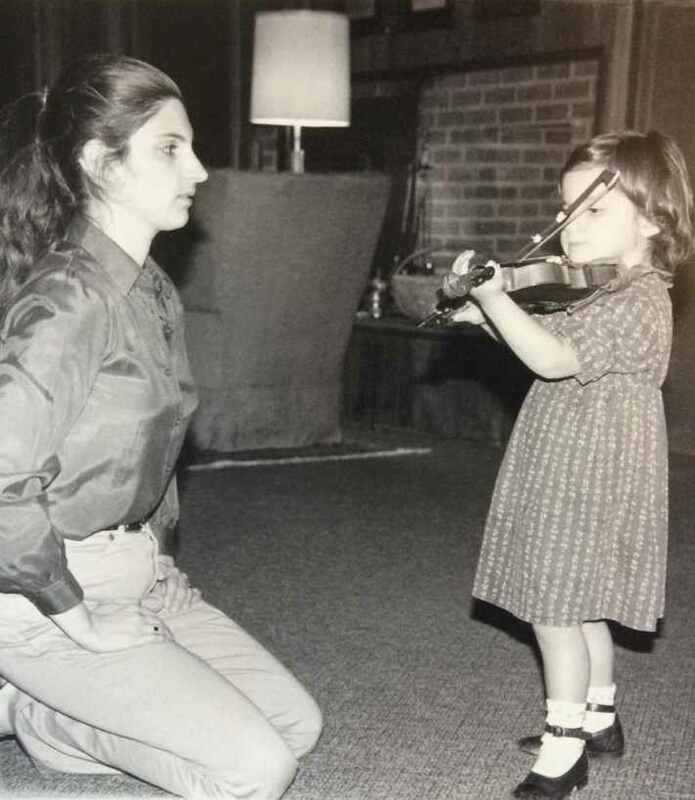 So teachers, our job is not only to teach the nuts and bolts of playing the violin (or any instrument) to our charges, but to teach them to take charge of their energy, thoughts and emotions so they can teach themselves in the most effective way, i.e., practice. And the most efficient practicers are those who use their capacities instead of allowing themselves to be used by them. We all do have a choice in this matter and it’s part of our job to make our students aware of it: that they are constantly making choices and that it’s important to make good ones consciously if they want to become perfectly perfect perfectionists – or just play the violin, or indeed do anything else in their future lives, well.